Shock jock Howard Stern says he is very upset that Jimmy Kimmel and Sarah Silverman have ended their relationship, reports Us magazine . 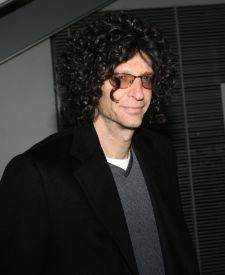 The couple had been friends with Stern and fiancee Beth Ostrosky, and Howard says he was supposed to vacation this week with the now broken-up duo. "Jimmy e-mailed me and said they were going through some tough times... I was so upset I had to go take a walk." Jimmy, 40, and Sarah, 37, announced their split earlier this week. Stern says Kimmel told him that the breakup was "mutual" and that he felt like he "lost his best friend."